Canadian Tire Canadian Tire Flyer Roundup: Instant Pot Duo Mini $70, Master Chef 10-Pc. Cookset $90, Dyson Light Ball Vacuum $330 + More New Flyer! Master Chef 10-Pc. Cookset $90 + More! This flyer is effective from August 16 through August 23 at all Canadian Tire store locations (unless otherwise stated). 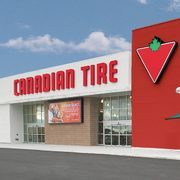 Certain items are also available via Canadian Tire's Pay & Pick Up tool, where you can pay for your items online and pick them up in-store to avoid line-ups, without any additional charges.